Huadong Cable Group can customize high temperature wire according to your requirements. Please kindly send us your inquiry cable list and order quantity, our sales team will reply in 12 hours. FEP cable is a single conductor lead wire with outstanding performance of resistance to moisture, fluid and age. As its name suggests, the extruded fluorinated ethylene propylene (FEP) is the main insulation material. You know that fep insulated wire is not affected by most chemicals, acids, solvents and water. So we can apply fep wire to many fields. Such as home appliances, lighting lamps,temperature sensors, automotive interior cables, electronic appliances etc. So the fep teflon wire is very popular. In order to meet the large demands for fep wire, Huadong provide a lot of fep cables with different specifications for our customers. If you are also looking for superior fep wire, welcome to Huadong. We believe our fep cable price and quality will satisfy you. And if your order is large, we may give you the discount fep cable. Please rest assured to leave your requirements. And we will reply in 12 hours. 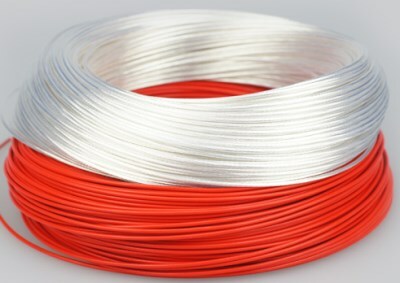 How to produce high quality fep wire? Where to buy fep insulated wire with the best price? As a reliable fep wire manufacturer, Huadong sells products directly to our customers. So there is no need to worry about the third party for extra fee. You can find that our fep cable price is very reasonable and has a great advantage in the world. What’s more, if you need a large quantity of fep insulated wire, we will give you discount price. Over the past years, we has established a long-term friendly relationship of cooperation with many enterprises. Just feel free to tell us your requirements. We believe that our fep teflon wire price will satisfy you. Package & Delivery: Huadong packages fep wire with roll or wooden drum or according to client’s requirement. Customer Case: We have exported our fep insulated wire to more than 30 countries, such as: Russian, America, Yemen, South America, North America, Middle East, Africa, Asia, Oceania countries, etc.